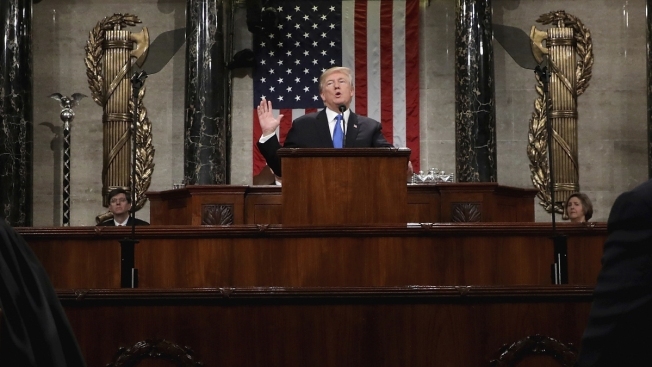 In this Jan. 30, 2018, file photo, President Donald Trump delivers his first State of the Union address in the House chamber of the U.S. Capitol to a joint session of Congress in Washington. The White House sent an email to the House Sergeant-at-Arms asking to schedule a walk-through in anticipation of a Jan. 29 address, according to a White House official who, like others, spoke on condition of anonymity because they were not authorized to discuss the planning by name. It's the latest move in a game of political brinksmanship between Trump and the House Speaker as they remain locked in an increasingly personal standoff over Trump's demand for border wall funding that has forced a partial government shutdown that is now in its second month. At the same time, the White House is continuing to work on contingency plans to give Trump a back-up in case the joint-session plans fall through. Officials have been considering a list of potential alternative venues, including a rally-style event, an Oval office address or a speech before the Senate Chamber, according to two others familiar with the planning. The Constitution states only that the president "shall from time to time give to the Congress Information of the State of the Union," meaning the president can speak anywhere he chooses or give his update in writing. But a joint address in the House Chamber, in front of lawmakers from both chambers and invited guests, provides the kind of grand backdrop that is hard to mimic. Pelosi in her letter had cited the impacts of the ongoing shutdown on the Department of Homeland Security and the U.S. Secret Service, questioning whether they could secure the speech given that they have been operating without funding. But Homeland Security Secretary Kirstjen Nielsen responded by assuring that DHS and Secret Service were "fully prepared to support and secure the State of the Union." 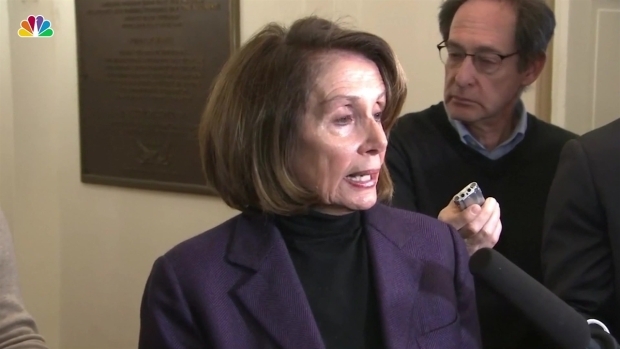 In the standoff between the two, Trump has accused Pelosi of behaving "irrationally" and Pelosi has refused to negotiate with Trump on border funding until he agrees to re-open the government. In a tweet Sunday, Trump wrote that he was "still thinking about the State of the Union speech," and that there were "so many options - including doing it as per your written offer (made during the Shutdown, security is no problem), and my written acceptance."